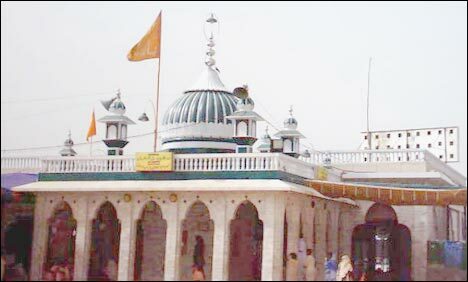 LAHORE : 25th Oct. 2010 : A bomb exploded outside the Dargah Hazrat Baba Farid Ganjshakar (shrine of Baba Farid, the holy sufi saint of 12th Century) in Pakpattan early Monday morning, killing at least eight people, including two women and injuring thirty others. The explosion occurred during Fajr prayers near the eastern gate of the shrine in Pakpattan, 190 kilometres from Lahore, our sources reported. The bomb was planted in a milk container on a motorcycle, city police chief Mohammad Kashif told Reuters by telephone. “According to initial reports, two unidentified men dressed in shalwar kameez came on the motorcycle and parked it near the gate minutes before the blast,” he said. The explosive device was remote-controlled. At least a 100 people have been reported to be present at the time of the blast. 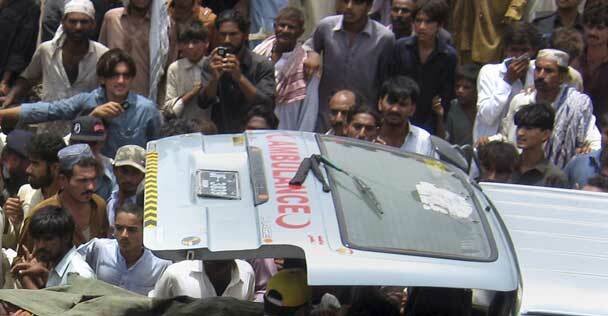 The injured were taken to the District Headquarters hospital in Pakpattan. At least eight injured people were said to be in critical condition. According to the Regional Police Officer, the shrine was shut down following the blast and security forces had cordoned off the area. There was no immediate claim of responsibility for the latest attack but Taliban militants have in the past attacked Sufi shrines. The chairman of the Ruet-i-Hilal Committee, Mufti Muneebur Rehman said the government had failed to provide adequate security to shrines in Pakistan. In one of the deadliest strikes, a bomb blast in July at the Data Darbar in Lahore killed more than 40 people. Eight people, including two children, were killed in an attack at the Abdullah Shah Ghazi shrine in Karachi on October 8. Source : Reuters and Agencies. 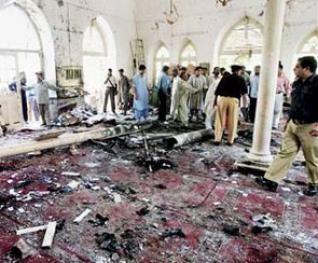 Peshtakhara Bala Mosque blast on Friday.11 killed 30 injured in two terror attacks in Pak. Officer, soldiers among 11 killed in two terror attacks in Pak, one upon paramilitary convoy and one upon mosque. Peshawar: A lieutenant-colonel, five soldiers and five civilians were killed in bomb attacks on a paramilitary convoy in Orakzai Agency as well as a mosque near Peshawar. Lt-Col Mohammad Yousaf and five soldiers were killed, while two were injured in the convoy attack, the Dawn reported. Although the area was cordoned off and a search operation was carried out, no arrest could be made. In another incident, at least five people were killed and thirty injured in the bomb attack on the main mosque of Peshtakhara Bala near Peshawar. Most of the injured were young men and children. Peshawar Police Chief Liaquat Ali Khan told reporters that the explosive device was placed beside a pillar in the veranda, and was detonated by a remote control. He noted that while security had been beefed up around all the mosques in bazaars and congested areas, securing such places in villages was almost impossible. He said that the attacker apparently entered the mosque when worshippers were gathering for Friday prayers. The explosion took place at about 1.55 pm when people had started leaving. In view of the situation, people should set up local peace committees, keep an eye on suspicious people and provide information about their movement to police, he added. Senior provincial minister Bashir Ahmed Bilour said that terrorists, who were in disarray because of action taken against them, had started attacking innocent people in places of worship. The government was determined to continue to mount pressure on terrorists till their elimination, he said, while announcing a compensation of 300,000 rupees for each deceased and 100,000 rupees for the injured. Cantonment Circle SP Shafiullah Khan disclosed that a search operation had been launched in the area close to Khyber Agency. 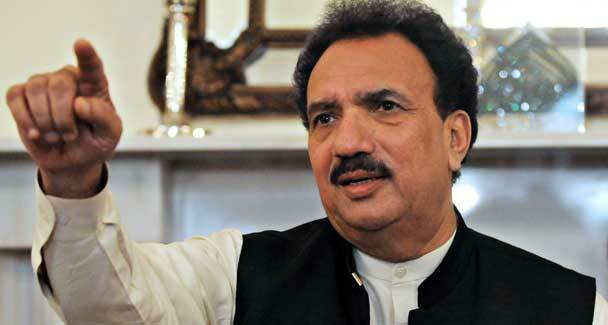 QUETTA: Pakistan announced a ban on five militant groups operating in the restive southwest and froze their assets on Wednesday, Interior Minister Rehman Malik said. Violence has surged this year in Balochistan, which borders Afghanistan and Iran and is rife with separatist unrest as well as militancy and sectarian violence. “Today five of them have been proscribed. They will not be allowed to undertake any activity, their offices will be closed and action will be taken against their office bearers,” Malik told reporters. “Their bank accounts have also been seized,” said Malik, speaking in Quetta, where a suicide bomber killed 59 people on Friday at a Shia Muslim rally. The banned groups are the Balochistan Republican Army, Baloch Liberation Front, Balochistan Liberation United Front, Baloch Defaee Tanzeem and Lashkar-e-Balochistan, Malik said. Malik said any organisation using the terms “liberation”, “military” or “Lashkar” (army) in Balochistan would also face a ban. The interior minister also announced that the federal government had given Balochistan’s Chief Minister the authority to award police powers to the Frontier Constabulary (FC) to tackle the province’s law and order situation. Malik said every law enforcement action in the province will be led by the police, adding that this involves targeted action based on intelligence inputs. Alertpak says :But it is not clear that how the same “liberation”, “military” or “Lashkar” (army) names will be tagged with other Pak Terrorists Groups in other provinces in Pakistan ? This is simply a matter of persecution of Balooch People who wants autonomy within Pakistan. Balooch are not Talibans. Then why this discrimination upon Balooch people ?? KARACHI: In an explosion near Rind market in Hub chowki on Wednesday, two people died while eight were injured. The injured were shifted to Hub civil hospital immediately where two of the injured succumbed to their injuries. Those severely injured were shifted to a hospital in Karachi. Few of the injured were sent home after treatment. Alertpak says : No Peace in Ramazan. Courtesy : AP, AFP and Dawn. 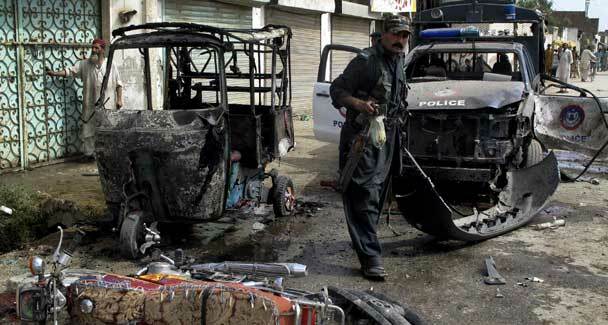 PESHAWAR: A suicide bomber rammed his explosives-laden vehicle into a police station in the southern city of Lakki Marwat, 162 km of the capital of Khyber Pakhtunkhwa on Monday morning, killing 19 people, among them nine policemen, a senior police official said. 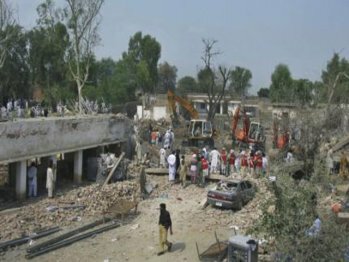 The 19 people including children and nine policemen have been killed and thirty nine others sustained serious injuries as a result of suicide bomb attack at a police station in Laki Marwat city of Khyber Pakhtunkhwa here on Monday (06-09-10). A suicide bomber rammed his car into a police station in Laki Marwat on Monday killing at least 19 people, police said. Nearly 100 people were killed last week in suicide bombings on processions of minority Shi’ite Muslims in Lahore and Quetta. “It goes to show that the terrorists have no creed except bloodshed and chaos, and are desperately carrying out their agenda regardless of the precarious conditions,” Prime Minister Yusuf Raza Gilani told a meeting of provincial officials. The latest attack which took place in the town of Lakki Marwat. The bomber struck a school van before hitting the rear wall of the police station. “Nineteen people have been killed. There are nine policemen and two children among the dead,” the Information Minister of Khyber-Pakhtunkhwa province, Mian Iftikhar Hussain, told Reuters. Hussain said 34 people, including 20 policemen, were wounded. Militants have frequently carried out attacks in Lakki Marwat. Earlier this year, a suicide bomber blew himself up in an SUV at a volleyball game, killing nearly 100 people in a village near the town in one of the deadliest attacks in the country. The TTP claimed responsibility for last week’s attacks in Lahore and Quetta. Government was severely criticised for its slow response to the floods and could face riots or unrest of it does not ease growing anger, analysts say. It must also find ways to prevent an economic meltdown. “We will have to re-prioritize our economic goals and drastically cut-down expenditures,” said Gilani. Courtesy : The Nation, Dawn, Sify & Agencies. MIRAMSHAH: A bomb planted on a bicycle killed 12 people in northwestern Pakistan on Tuesday, targeting police in the latest assault on security forces battling Taliban and Al-Qaeda-linked militants. At least one woman and a six-year-old girl were among nine civilians killed when the bomb exploded as a senior police officer drove through the outskirts of Dera Ismail Khan, officials said. “We have received 12 dead bodies and 10 injured,” said Doctor Nasir Malik Akhtar, head of the casualty department at Dera Ismail Khan hospital, where he said medical staff had declared a state of emergency to cope with the victims. Three policemen, including an officer named Iqbal Khan who led a particularly active drive against the Taliban, were killed in the attack. 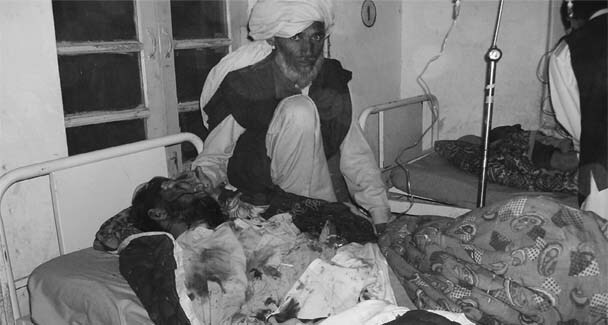 Doctor Qibla Khan Mehsud said a couple and their six-year-old daughter were killed. “They appeared to be pedestrians,” he told AFP. The Pakistani Taliban, which the United States accused of being involved in a failed plot to blow up Times Square in New York earlier this month, claimed responsibility for the attack. “Iqbal Khan was so active against the Taliban. We planted that bomb and claim responsibility for this attack,” Azam Tariq, the main spokesman for Tehreek-e-Taliban Pakistan (TTP) told AFP by telephone. “We will target all such people. These sorts of policemen are on our hit list,” he said, speaking from an undisclosed location. Police in Dera Ismail Khan said Khan recovered a stash of arms, ammunition, mortar shells and a suicide vest from a forest in the district in March. “He also arrested several militants from his area,” Rahmatullah Khan, a police official in Dera Ismail Khan told AFP by telephone. “We think this was the basic reason that he was targeted,” Khan said. Courtesy: AFP, Reuters and DawnNews. The Rule of Islam in Pakistan. 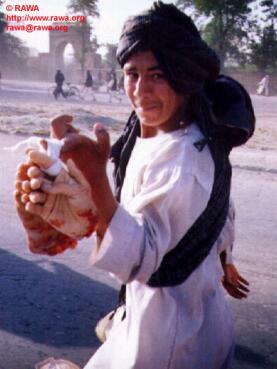 The Greatness of Sharia to cut off hands. Talibani punishment of theft. Allah ho Akbar ! Allah ho Akbar !! 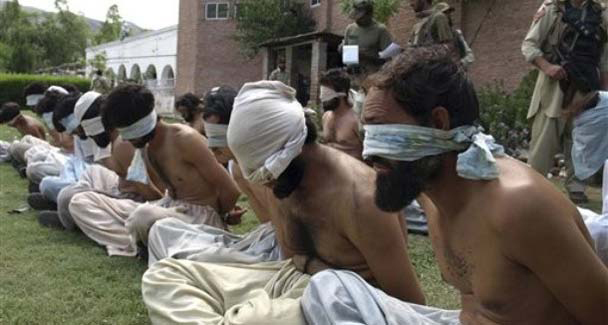 PESHAWAR: Taliban militants Wednesday cut off the hands of three alleged thieves in a troubled Pakistani tribal region, police and hospital officials said. 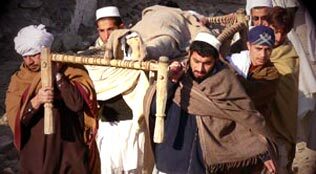 The incident took place in the remote Ghaljo village of Orakzai, which is controlled by the Taliban. “A Taliban court ordered the cutting off of the right hands of three local tribesmen in Orakzai tribal region after finding them guilty of theft,” a police official told AFP on condition of anonymity. He said that the three men were later taken to the northwestern town of Kohat for medical treatment. 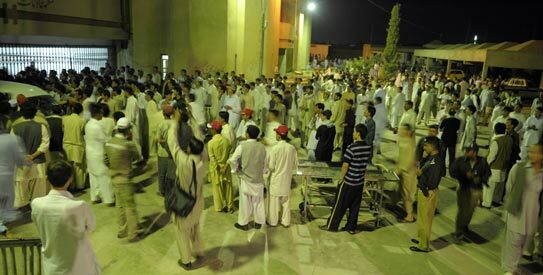 Hospital official Musa Khan confirmed the incident and said that doctors were trying to save the three men’s lives. Orakzai is the latest district in northwest Pakistan’s semi-autonomous tribal area to have witnessed an anti-Taliban operation by the military, following US pressure to eradicate extremism. Courtsey : DawnNews and Agencies. 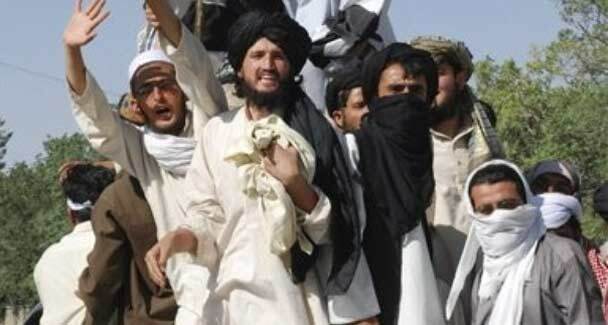 “Pakistan Security Report 2009” …….. A True Face of Religion of Peace in Pakistan. Pakistani Face of Islam 2009. 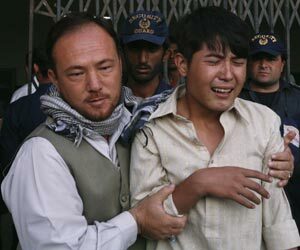 `12,632 people dead and 12,815 injured’.`380 killed in 8 attacks targeting mosques in 2009’. ‘Over 12,800 Islamic militants caught in 2009’. Most of the Muslims believe Islam as a Religion of Peace. Most of them are also proud of it. The actualities can be derived from the recent report published by Pak Institute for Peace Studies (PIPS), a self acclaimed independent think-tank, under the title “Pakistan Security Report 2009”. Every proud Muslim have to ponder over the situation under Practical Islam of increasing violence and the deterrent development of Pakistan in all respect. The report titled “Pakistan Security Report 2009” released by Pak Institute for Peace Studies (PIPS), an independent think-tank, said that compared to 313 operational attacks conducted in 2008, 596 were carried out by security forces in 2009. As per the report published on last sunday, over 12,800 suspected militants, 75 of them belonging to Al Qaeda and 9,739 local Taliban or members of other banned groups, were arrested during operations conducted by law-enforcement agencies and armed forces across the country in 2009. In 2009, the report says, 2,586 terrorist, insurgent and sectarian-related incidents were reported that killed 3,021 people and injured 7,334. The highest number of 1,173 attacks was reported from the NWFP, followed by 792 in Balochistan and 559 in Fata; 46 attacks took place in Punjab, 30 in Sindh, 12 in Islamabad and five each in Gilgit-Baltistan and Azad Kashmir. The Taliban seem to have changed their tactics and they are now carrying out coordinated attacks, instead of using a lone suicide bomber. Part of that change was evident in choosing different and increasingly civilian targets, such as a university in Islamabad and markets in Lahore and Peshawar, the attack on the military’s General Headquarters in Rawalpindi, and drive-by shootings targeting senior military officers in Islamabad. Although the number of terrorist attacks and casualties increased in 2009, the government forces were able to inflict heavy damage on terrorist networks and infrastructure in Fata and adjacent areas. Earlier, as per a report of the Interior Ministry of Pakistan, it was conveyed that at least 380 innocent Pakistanis have been killed and 941 injured in the year 2009 in eight bloody incidents of terrorism across Pakistan, targeting mosques with the help of suicide bombers as well as explosive-laden vehicles. 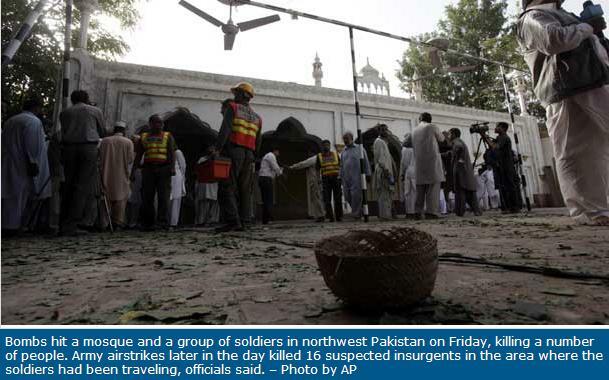 Claiming responsibility for the Friday’s mosque attack, the Tehrik-e-Taliban Pakistan (TTP) said the Parade Lane mosque was similar to Masjid-e-Zarrar that was built in Madina by the munafiqeen, and was “demolished on the orders of Prophet Muhammad (PBUH)”. Talking to BBC after the attack, TTP commander Waliur Rehman Mehsud said that his men had actually attacked senior army officers. “Our militants attacked the military officers who were our primary target and we will continue to attack the army,” he said, adding that the civilians killed in the attack were relatives of army personnel and their deaths “did not matter”. The fatal mosque attack comes just a day after the attempted bombing of the Naval Headquarters in Islamabad. 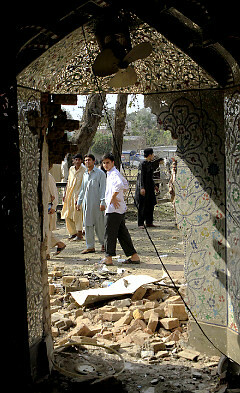 According to the compilation of figures by the ministry of interior and sources of different news agencies, the first such incident took place on February 5, 2009 when a suicide bomber blew himself at the main gate of Al Hussainia Mosque in Dera Ghazi Khan, killing 33 persons and injuring 54 others. The second incident took place on March 27, 2009 in which 92 persons, including 16 Security Force personnel, were killed and over 113 injured. The target of the suicide bomber was a mosque at Peshawar-Torkham Highway in the Jamrud sub-division of the Khyber Agency in FATA during the Friday congregation. 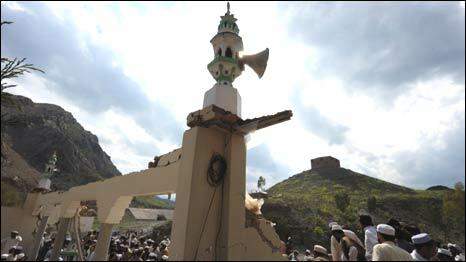 The huge explosion reduced the single-storey roadside mosque to rubble. The dead included the prayer leader, his brother, four personnel of the Frontier Corps and a dozen Khassadars (tribal police). 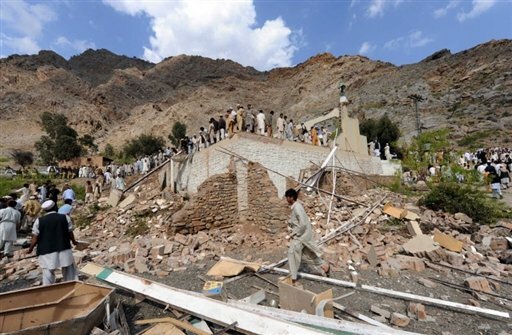 The third such incident took place on June 5, 2009 when a suicide bomber killed 57 worshippers, including 12 children, at a mosque in a remote village of the Dir Upper District of NWFP. Dozens more were injured as a young man detonated explosives fastened to his body minutes before the Friday congregation in the Hayagay Sharqi village. 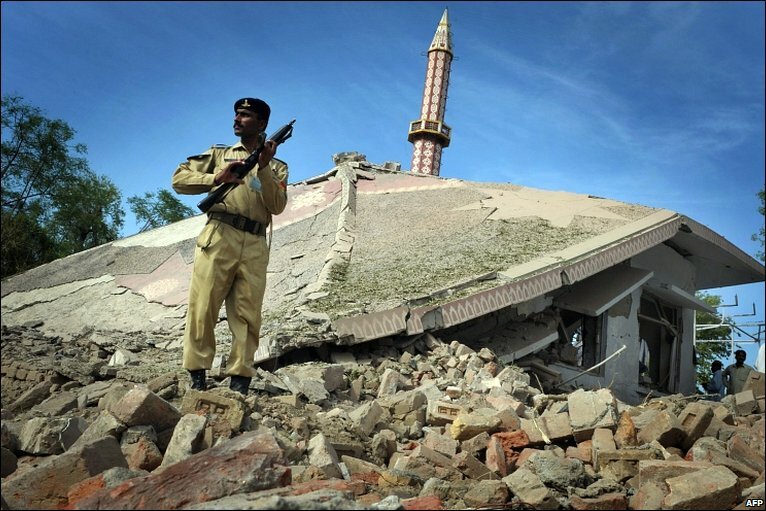 In the fourth incident that took place in the same month a week later on June 12, 2009, 12 worshippers were killed and 105 others sustained injuries when a suicide bomber rammed his explosives-laden van into a mosque during the Friday prayers in the Cantonment area of Nowshera in the NWFP. The congregation was in the second Rakat (part) of their prayer when the bomber in the vehicle, carrying 125 kilograms of explosives, struck the wall of the mosque near the Army Supply Depot. Two soldiers were among the four persons killed on the spot. The fifth such incident took place on October 28, 2009 when a remote-controlled car bomb killed at least 117 people, including women and children, and injured around 203 others. The bombing completely destroyed Masjid Umme Habiba, a famous mosque of Peshawar, which was situated in the famous Meena bazaar. At least 150 kilograms of explosives were used in the remote-controlled blast. In the sixth incident on November 16, 2009, 12 persons were killed and 32 others sustained injuries in a suicide car bombing which targeted the Badaber Police Station and an adjacent mosque situated on the Kohat Road near Peshawar. The powerful blast razed to the ground the mosque as well as a large portion of the Police Station. 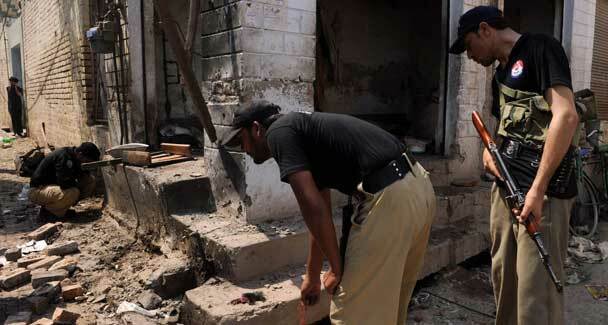 The December 4 attack on the Rawalpindi mosque was the seventh such assault this year, specifically targeting mosques. 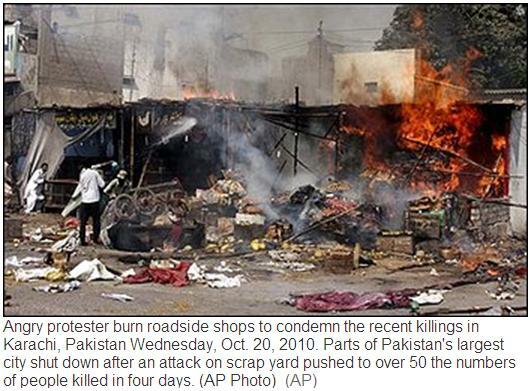 The December 4, 2009 armed attack targeting the parade ground mosque in the garrison town of Rawalpindi, which killed 44 people including 17 children, was the latest in the series. In one of the worst incidents of terrorism in recent years, a group of six fidayeen attackers belonging to the Tehrik-e-Taliban stormed the crowded Parade Land Askari Mosque close to the General Headquarters of the Pakistan Army during Friday prayers and sprayed gunfire at worshippers besides throwing hand grenades. A serving major general of the Pakistan Army, a brigadier, two lieutenant colonels, a major and a number of soldiers were among those killed in a multi-pronged attack which was carried out in cold blood while violating the sanctity of a mosque by those who claim to be fighting for the glory of Islam. The blood-spattered episode eventually came to an end after two suicide bombers blew themselves up. The eighth such incident took place on October 28, 2009, when a suicide bomber rammed a car into a mosque during Friday prayer. 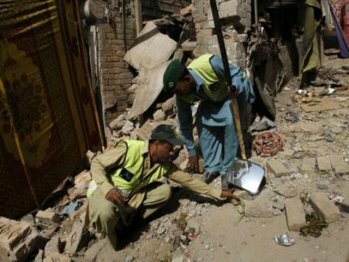 At least 13 people were killed and 40 other wounded when a suicide bomber blew himself up in a mosque situated in Khurshid Police Line, Temar Garah in North-West region of Pakistan. The Islamists in Pakistan prefer explosion in Friday prayers in Mosques, mostly they enjoy bloodbath in Friday, they prefer blast among the children in school, in shopping mall, in un-alerted innocent Muslims in crowded place. Obviously, all these are the signs of peace in Islam or the conspiracy of India, Israel or USA. But all these under the total control of Great Allah through his Quranic doctrines. Great indeed !! Allah ho Akbar !!! Allah ho Akbar !!!! Death toll climbs to 95 in Lakki Marwat blast in volleyball ground in Pakistan. 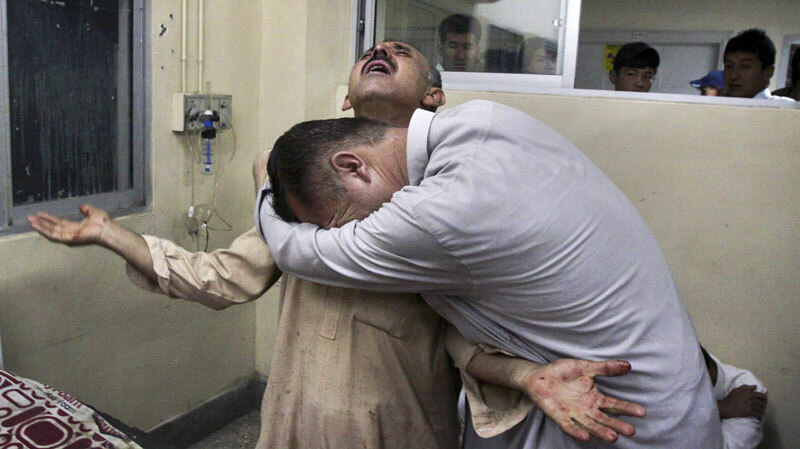 Pakistan volleyball bombing kills 95 including many minors. 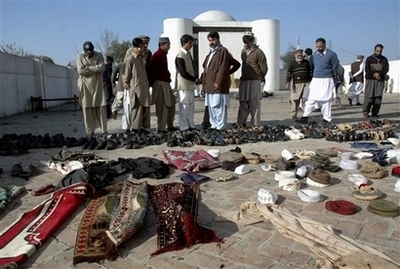 LAKKI MARWAT: The 88 victims of Lakki Marwat suicide blast have laid rest as the toll reached to 95. The blast-affected people are waiting for the government assistance under open sky in extreme cold since last night, Geo News reported Saturday. The huge blast was Pakistan’s deadliest in more than two months, triggering the collapse of more than 20 houses, some with families inside, in a village bordering a Taliban stronghold, officials said. The bomber detonated his explosives-packed vehicle as fans gathered at a volleyball court to watch two local sides face off in the village of Shah Hasan Khan, in Bannu district, bordering Taliban stronghold South Waziristan. The work regarding removal of the debris is in progress today on the second day of the blast, as three more bodies have been recovered from under the rubble raising the blast tally to 95. The blast-affected people said the government has not provided them any aid thus far and they had to spend the night under open sky. The local people are seeing about the arrangements for foods under self-help. DPO Lakki Marwat Ayub Khan said the deceased in the blast include two police, six FC personnel, six women and children. Also four boys of the same family died in the blast. According to eyewitnesses, at least 400 people were present there during the match. The injured were rushed to the District Headquarters Hospital; some injured were taken to Bannu District Hospital and Peshawar. A three-member committee has been instituted for the probe into the suicide blast. Also, an FIR has been registered in Lakki Marwat police station in Hasan Khel against unidentified saboteurs under Explosive Act, Clause-302 and other clauses. Police said the bomber drove a truck packed with explosives onto the sports field in Laki Marwat, The Times of London reported. The confirmed death toll climbed rapidly during the day with the Sources putting it at 95. Most of the victims were children as young as 12, the newspaper said.